Holidays can suddenly sneak up on you, and that’s why we’ve put together this last minute gift guide for the social media manager in your life. From content creator to marketing specialist to customer service rep, there is no doubt a social media manager wears many hats. Tis’ the season to recognize their many skills! 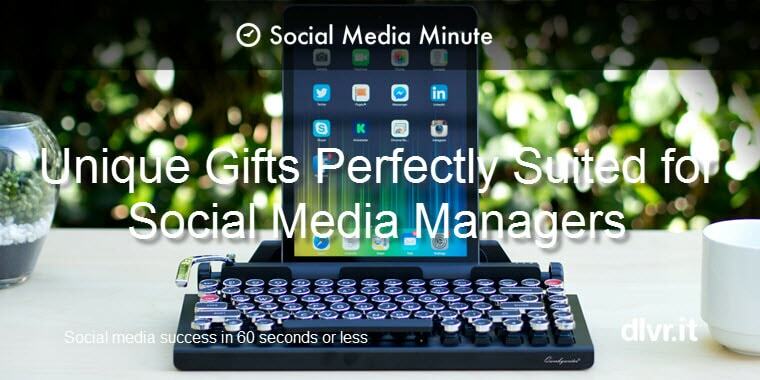 Celebrate the social media manager in your life with these fun, quirky and downright useful gifts. 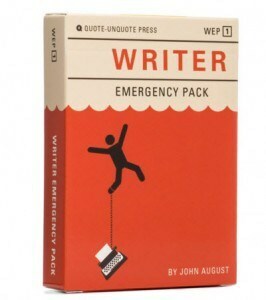 Writer Emergency Pack is a deck full of useful ideas designed to help get your story back on track. When your story gets stuck, Writer Emergency Pack has the tools you need. Fix plot holes. Spice up stock characters. Rethink your themes. We all get stuck when it comes to the next social media update idea. This book containing 642 things to write about is among a handful of books we love. 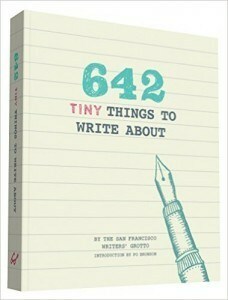 It is a perfect gift for stumped writers, journalers, or any creative type needing a tiny flash of inspiration. 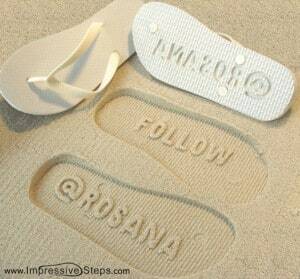 Send your social media manager on vacation to a warm Hawaiian Island with these Social Media FlipFlops. They get a bit of rest, and you get a guerilla marketing tactic the drives new Twitter followers. They leave a lasting impression – literally. It’s a win-win! 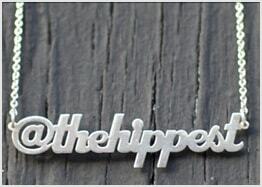 To compliment their stylish @TwitterName flip flops, how about memorializing your social media manager’s Twitter handle in sterling silver adorned around their neck. It’s perfect for the manager who has single-handedly increased your company’s Twitter following by 10X. How glamorous they will look! Let’s continue outfitting your social media manager with the finest that Etsy has to offer. 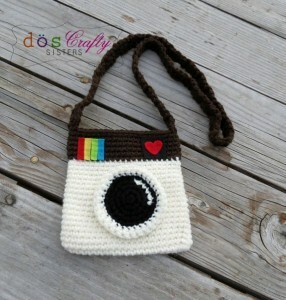 This Instagram purse is perfect to carry an iPod, iPhone, money, or a wallet everywhere you go. It’s handmade with only the finest cotton. 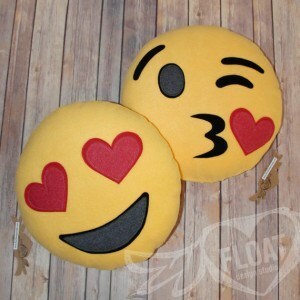 What social media manager wouldn’t love a social media inspired pillow. This pillow is the ultimate in social media geekery. Choose from YouTube, Facebook, a hashtag or an assorted array of smiley faces. It’s a gift only a social media manager would love and appreciate. Inspiration strikes anywhere! How many times have you been taking a shower and you had the best idea to grow revenue only to forget it by the time you towel off. Don’t put that kind of pressure on your social media manager. 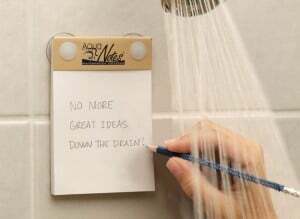 This waterproof notepad is the answer to that issue. This keyboard is my favorite gift on the list. It is a new twist on the boring keyboard. It brings back a bit of nostalgia. Qwerkywriter takes the keyboard one step further and gives writers a wireless typewriter that connects via Bluetooth to tablets, smartphones and more. We all know how bad sitting at a desk can be. With the objective of being more productive, comfortable and saving your back, one of the craziest ideas in desk design is the desk by Altwork. 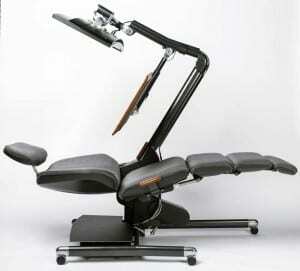 Is Desk Design 2.0 the way of the future? Set your sleep comfort to “lights out”, grab a social media pillow and take a nap between tweets. Looking for other awesome gift ideas? Check our post on the Ultimate Gift Guide for Your Boss, Your Co-Workers, and Your Cat [Always Up-To-Date].